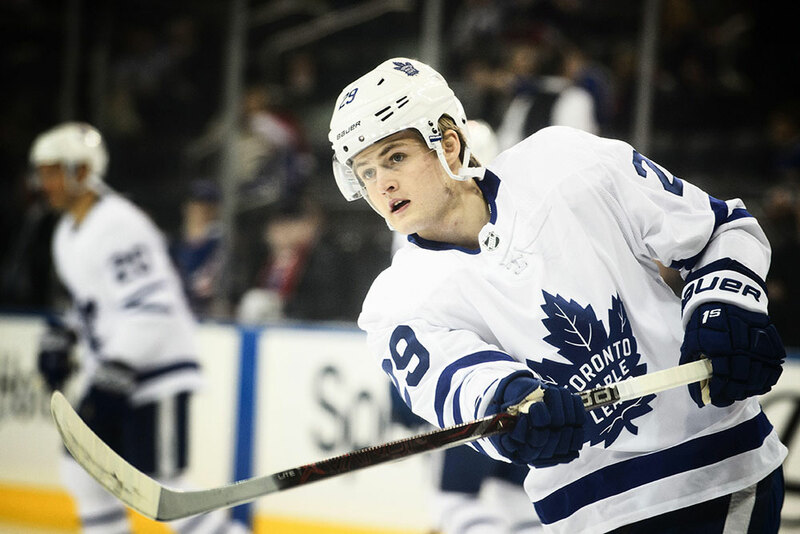 William Nylander Signs But Are His Toronto Days Numbered? Somebody blinked before 5pm on December 1st, but I’m not sure who. It was either the Toronto Maple Leafs or skilled 22-year-old winger William Nylander. They had until the league-imposed deadline to agree to a contract or the young man wouldn’t have been allowed to skate in the NHL this season. He finally agreed to sign on the dotted line though before turning into a pumpkin and he’ll now be depositing $6.9 million on average into his bank account each season over the next six years. That much we know. But will the Leafs be paying his salary or will someone else be sending his paycheck? 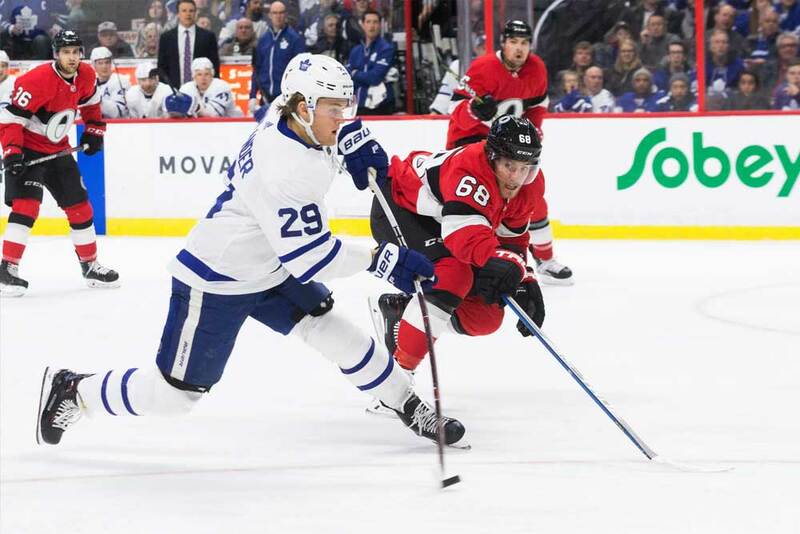 Reading the Toronto and national newspapers and listening to experts on local sports radio and even Hockey Night in Canada, many have the opinion Nylander more or less signed his own death warrant when it comes to playing with the Leafs. Some feel several months of negotiating and 27 games of NHL hockey have been wasted since the $6.9 million figure was rumored to been offered earlier on. If it was, then Nylander might have well agreed to it back then. But unless the club or player are willing to share the haggling with the public we’ll never really know. Other members of the media believe the Leafs simply can’t afford Nylander under the upcoming salary cap over the next half dozen years. Well, we know the team certainly has the cash since it’s one of the wealthiest in the league and ticket prices are sky high compared to many other clubs, but the key here of course is the salary cap. Long gone are the days when general managers could just write off a bad contract as a learning experience. They’re now accountable for every penny spent and they need to spend them wisely. Toronto is already paying John Tavares $11 million per year this season and the next six and also has to ink a pair of NHL stars in Auston Matthews and Mitch Marner. And ironically, young winger Kasperi Kapanen shone for the team while Nylander sat out and he also needs a new contract after this season. Andreas Johnsson has also played well and is in the same boat and we can add top-two defenseman Jake Gardiner to the list. It’s quite possible Tavares, Marner, Matthews and Nylander’s deals will come to approximately $40 million a year. That, my friends, will be close to half of the projected salary cap for just four players. According to the Cap Friendly website, the Leafs also have a couple of questionable deals on the books already as defenseman Nikita Zaitsev is pulling in $4.5 million a year until the end of 2023/24 and 39-year-old winger Patrick is owed another $6.25 million next season. And let’s not forget Toronto is still paying Phil Kessel of the Pittsburgh Penguins $1.2 million of his salary until the end of 2021/22. Leafs’ fans are already upset enough that Kessel has won a pair of Stanley Cups since the team traded him in 2015, but can’t stomach the fact they’re also paying 20 percent of his salary. Nylander’s salary for this season is $10 million with $2 million in bonuses while next year’s salary is $700,000 with $8.3 million in bonuses. Over the remaining four years of the deal he’ll make $2.5 million in salary and $3.5 million in bonuses. But whatever way you slice it, he’ll be using up $6,962,366 in cap space a season. Of course, the Leafs could have let him sit for the entire season, but with the club being one of the best in the league it would seem foolish to take a shot at the Stanley Cup without a key piece of their puzzle. Nylander posted two 61-points seasons in the past two years, has 135 in 185 regular-season games and is a valuable member of the squad. Auston Matthews also wants him back on his wing and the team’s top two lines are among the NHL’s best if Matthews and Nylander are together and Tavares is skating with Marner. It also would have been hard to explain to fans why Nylander wasn’t signed and why he wasn’t traded for assets if the team let him sit and were then eliminated early in next spring’s playoffs. Nylander doesn’t have a no-trade clause in his contract, but can submit a list of 10 teams he can’t be swapped to in 2023/24. This means it’s possible Leafs general manager Kyle Dubas moves the eighth-overall draft pick in 2014 if he can’t fit everybody into the salary cap. As for Nylander himself, he said he didn’t want a shorter bridge deal of three or four years as he wants to be a part of things in Toronto for as long as possible. It appears the player got what he wanted in this situation and he, his teammates and the fans are all happy. How his return will affect a winning team is yet to be seen. Nylander definitely has the skill to be a top player in the league, but sometimes team chemistry is altered when a new piece is added. Somebody will lose their ice time now and the most likely candidates to be demoted to the press box are wingers Tyler Ennis or Josh Leivo. Time will tell how this situation pans out, but the immediate future looks pretty bright for Toronto with Nylander back in the fold. However, there could be some changes at the trade deadline if it looks like pending unrestricted free agent Gardiner isn’t affordable. The Leafs already lost an elite player for nothing earlier this year when James van Riemsdyk walked and rejoined the Philadelphia Flyers. The Leafs would have been wiser trading him before last year’s deadline for some help on the blue line. In addition, if the team doesn’t make it out of the first round for the third straight postseason there will also likely be a few moves made and Nylander could be one of them.